Italian Burgers. 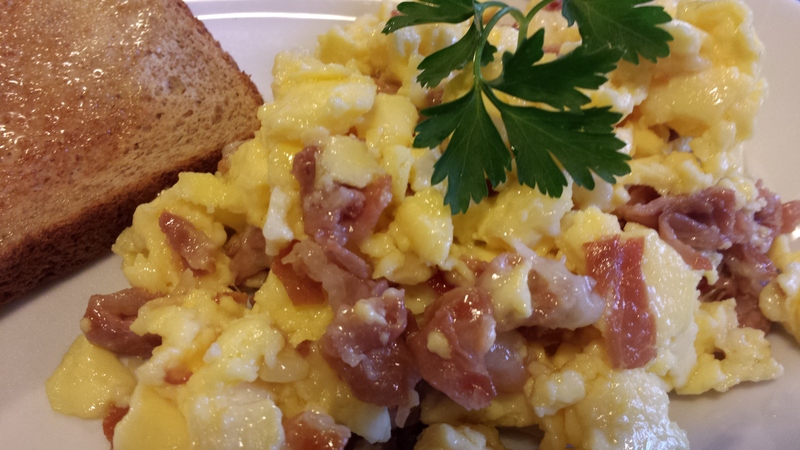 Sometimes you come upon a new favorite dish by having leftover ingredients from another one. This time, I had some leftover hamburger from a meatball recipe. 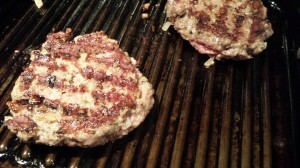 The hamburger mixture contained some sweet onion, Italian seasoning, and shredded parmesan cheese. I had some leftover roasted tomato sauce from a previous meal. 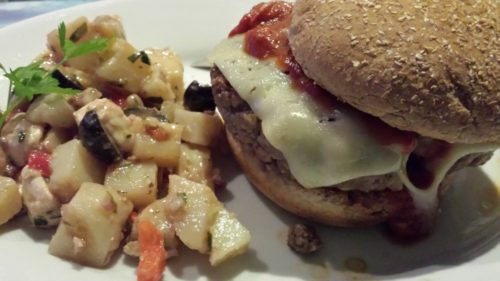 My Italian Burgers were born. My husband and I love to grill burgers outside in the summer. 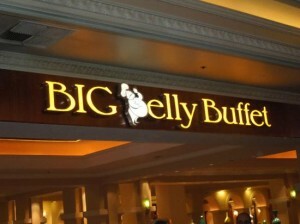 Our favorites include turkey burgers and buffalo burgers. 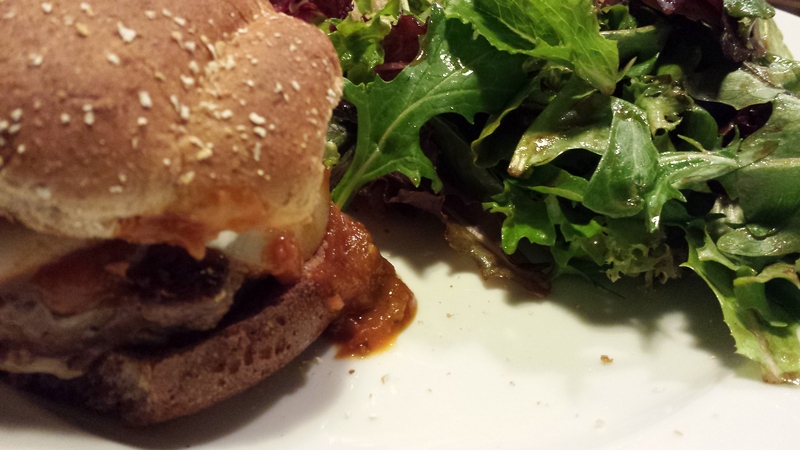 This Italian burger can be made with virtually any ground meat. If you can’t grill outside, use a grill pan inside on your stove. 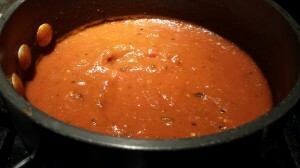 Start by making some of my Roasted Tomato Sauce. Keep it warm until the burgers are ready. 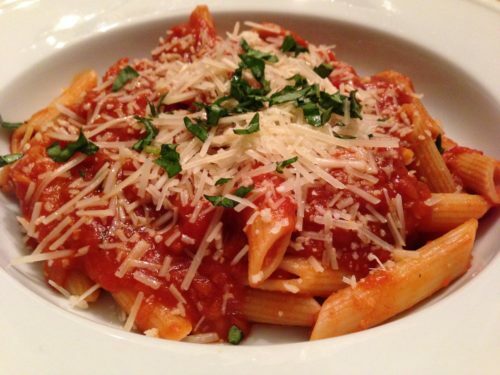 If you don’t have time to make the sauce, you can use tomato ketchup instead. 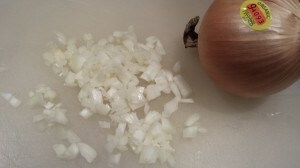 For the burgers themselves, finely dice some sweet onion. Saute the onion in some olive oil until caramelized. Set aside in a large non-metallic bowl to cool. When the onions have cooled to room temperature, add some shredded parmesan and some Italian seasoning. 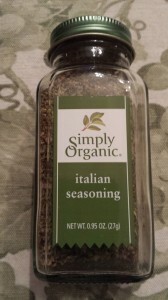 I like the Simply Organic brand of Italian seasoning. Using your clean hands, lightly mix together the caramelized onion with the Italian seasoning, parmesan cheese, and the ground meat. Form into patties. Season with a little salt and pepper. Grill the burgers until done to your liking. 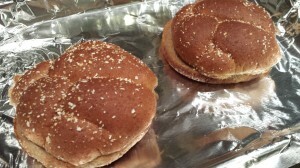 Toast some sandwich buns to a nice golden brown. 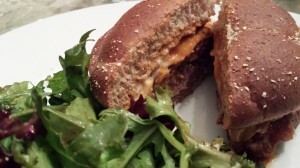 I like to use whole wheat buns for this recipe. 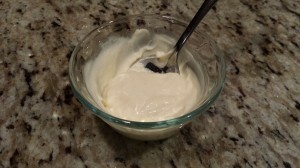 Mix together some mayonnaise and minced garlic for a nice garlic aioli. Spread a little aioli on the toasted buns. When the burgers are done, place each one on a toasted bun. 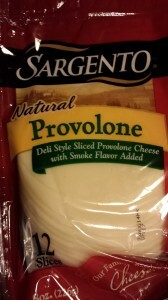 Top each burger with a slice of provolone cheese. Add some roasted tomato sauce. Place the bun top on the burger, and serve! baked mozzarella sticks to dip into any leftover roasted tomato sauce. 1. Heat the olive oil in a non-stick skillet and heat a gas or charcoal grill. 2. Saute the onion until it has softened and slightly caramelized. 3. Remove the onion from the pan and let cool in a non-metallic bowl. 4. When the onion has cooled to room temperature, mix in the ground meat, Italian seasoning, shredded Parmesan, salt and pepper. 5. 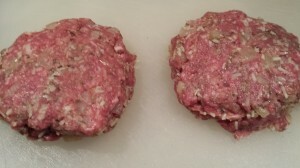 Form meat mixture into two burger patties. 6. 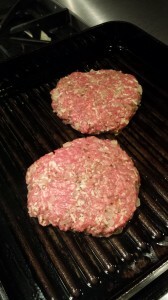 Grill burgers over medium high flame or hot coals for about 4 – 5 minutes on each side. 7. 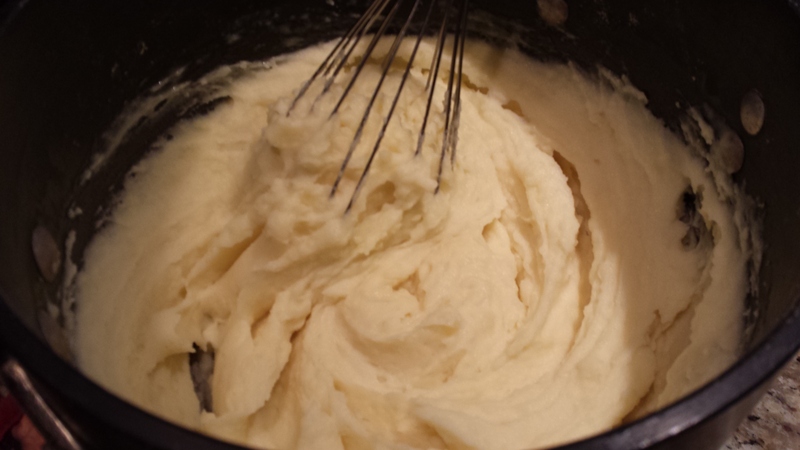 Spread the garlic aioli on the insides of the toasted burger buns. 8. 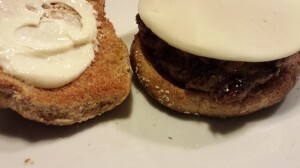 Place a burger on each bottom bun and top burgers with a slice of provolone. 9. Divide the roasted tomato sauce amongst the two burgers and top with the bun tops. Makes 2 Italian Burgers. Serve with mixed greens tossed with my Italian Dressing with Sundried Tomatoes or some fries or onion rings or my Italian Potato Salad. Variations: Use whatever ground meat that you prefer. Use ketchup instead of roasted tomato sauce. 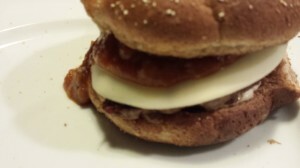 Use a different melty cheese such as Havarti on top of the burgers. Add some fresh spinach or arugula leaves to the burger. To lighten this recipe, omit the cheese and garlic aioli, use ground turkey or chicken, and serve the burger without the bun on a bed of greens.